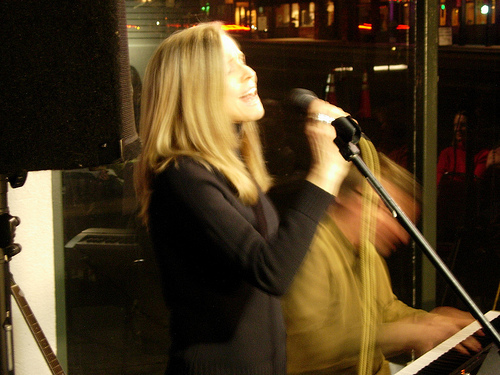 Christi Bovee has been singing professionally for over 25 years in both live performance and in logging many hours in the recording studio as a session and jingle singer. She has performed in everything from opera and musical theatre to rock bands, as well as voice over acting. She still performs with her musician husband, Mark Bovee, when they are not raising their three kids. You can hear 'Simple', a recording featuring ten of their own original songs on iTunes and or catch her perform around the Front Range area with her jazz quartet, Pippa's Fling. With over 25 years of teaching experience, Christi has coached vocalists of all ages, walks of life and musical styles, including the Jonas Brothers', Nicholas Jonas.